YouTube vape vlogger and reviewer Vinny Luciano of SVAWorld takes second bout in charity boxing to raise money for Cancer Research UK. 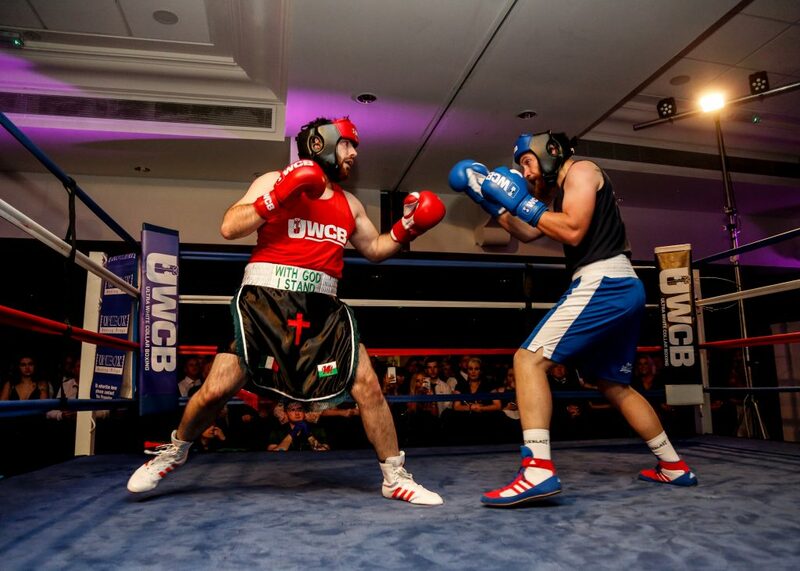 The showdown took place at the Mercure Hotel in Brand’s Hatch Place, Dartford and was hosted by Ultra White Collar Boxing. Vinny went in as the vaping industry’s sole representative, and this wasn’t the first time he did us proud. Vinny won his first charity fight in December 2017 on points and so raises his winning streak to 2-0. Mirroring Olympic rules, UWCB’s fights last for three, two-minute rounds. Vinny needed less than one, knocking his opponent out in one minute and 34 seconds. You don’t have to wait for the Christmas season to see charity, goodwill and gift giving in the vaping industry and its consumer community. Vinny’s fights are part of a wider pattern of selfless acts done by all kinds of vaping-adjacent people. It wouldn’t have been right for Vinny to return to the ring without a proper nickname. He now goes by Mani di Pietra (Hands of Stone) in honour of his Italian heritage and as a tribute to his favorite boxer Roberto Duran, the Panamanian legend who went by Manos de Piedra. Vinny considers Duran a hero, not just for his accomplishments in the ring, but his charity work outside of it. Vinny sees the vaping industry as perfectly compatible with cancer research charities. At its core, vaping is about smoking cessation: a public good. Unsatisfied with his first performance between the ropes, Vinny worked on a new strategy. He took inspiration from Duran and ended the bout with a rare, risky but devastating punch: the liver shot. According to the Cancer Research UK’s rules, this second fight will be Vinny’s last for them, but he has no plans to stop. He’s a lifelong boxing fan and feels encouraged by finding something that lets him help others stop smoking whilst pursuing a passion. Vinny also pointed out that though he kept vaping throughout the training and build-up (though never during sessions) his cardiovascular fitness wasn’t affected in the slightest. Stopping an opponent inside a round before they can dish out any damage isn’t our usual definition of ‘harm reduction’ but the result speaks for itself.